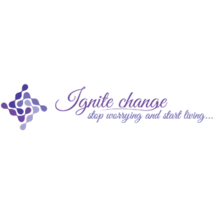 Ignite Change was started by Rami Elgebaly, a passionate life coach with an MBA from Halifax University. He is a certified Life Coach, NLP Coach, Hypnotist, and behavioral interviewer, over the past 18 years of his professional life. In his 12 years of senior-level professional life, he has worked on several business transition projects mainly to help senior level management employees to overcome work stress, enhance their coaching skills, and maintain a healthy work-life balance. He believes that each person has all the resources they need to get any desired results in their life; Be it better health, wealth, career growth, healthy relationship or anything else you want.